Flux Factory, in collaboration with artist Julia Vallera (MFA Parsons), would like to present Long Island City with Julia’s Color Wheelz project. 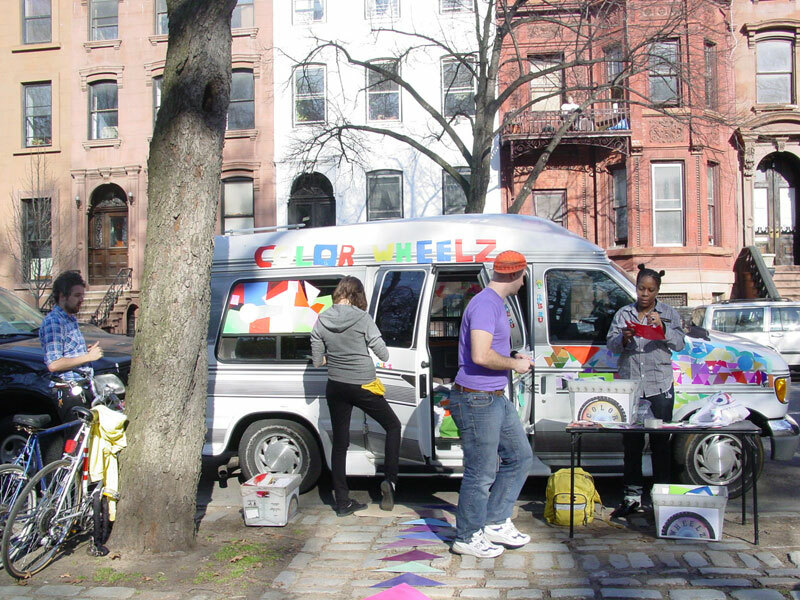 Color Wheelz is designed to transform a 1997 Ford van into a traveling, participatory installation. This van travels through the five boroughs of NYC filled with playful activities, which facilitate exploration into how color relates to community. Visitors at each destination adapt the inside and outside of the van using an array of color-related items. These items include glowing neon wire, cling paper, velcro shapes, magnets and fabric. The Color Wheelz van will be parked at the John F. Murray Playground on 21 Street between 45 Ave and 45 Road (map) on Saturday August 14th from 11am to 5pm – JOIN US as we visually craft Long Island City! this project is a collabo between Nick Normal (Flux Factory) and Julia Vallera.